Do you make New Year’s resolutions? 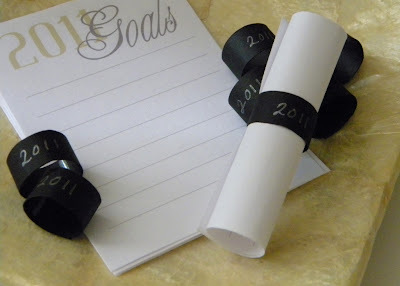 I always think if you’re going to make a resolution or goal, it’s better to put it in writing. 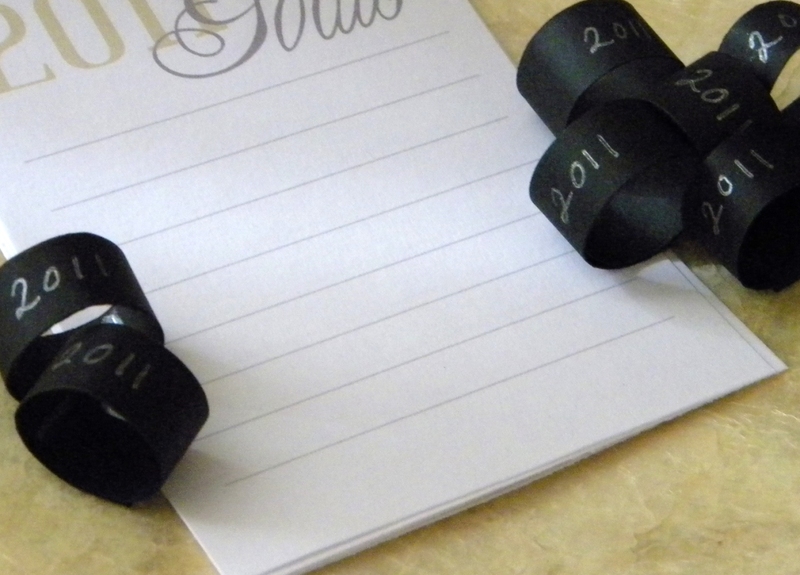 To continue the black and white New Year’s Eve party theme, you can help your guests start off 2011 with a new list of goals. Work out more? Spend more time with family? Get healthy? Start a blog? 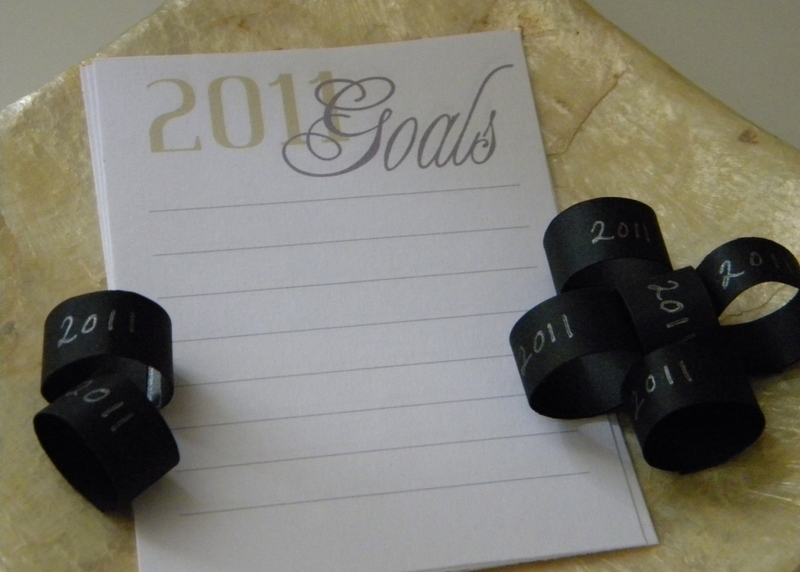 Whatever your goal, New Year’s is traditionally the time to set them. I made these 2011 goal lists in Word and simply printed them out and trimmed them. A small cigar band is made out of black cardstock so guests can roll up their lists and take them home. You have always nice things to post. I want to come to your party! :-) Have fun! !